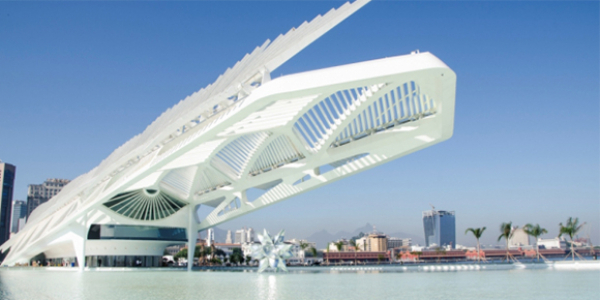 The 5th edition of the ENGIE Brazil Innovation Day organised to Museu do Amanhã (Museum of Tomorrow) in Rio de Janeiro. The event's theme is "The Future of Work" and the audience is formed by ENGIE Brazil employees, start-ups, businessmen, press, authorities and external stakeholders. The event is conclued by the "ENGIE Brazil Innovation award ceremony 2019". Supporters: CERTI Foundation (Center of Reference for Innovative Technologies) ; Senai (National Service of Industrial Learning) ; Sesi (Social Service of Industry) ; Business France ; MedRio (Company leader in Brazil in preventive medicine) ; AmCham Rio (American Chamber of Commerce). ENGIE is looking for external innovative solutions related to the theme “Health and Safety at Work” in the sectors of Power Generation; transmission and distribution; Gas transmission and distribution; Implementation/Works of Infrastructure projects ; Building automation; Services performed with electric risks (low or high-voltage). The winners project will present their projects and be awarded during the "ENGIE Brazil Innovation Day 2019". and their project will be tested and evaluated by ENGIE Brazil aiming a partnership with us to implement the project in Brazil, based on the proponent interest and the project’s applicability.